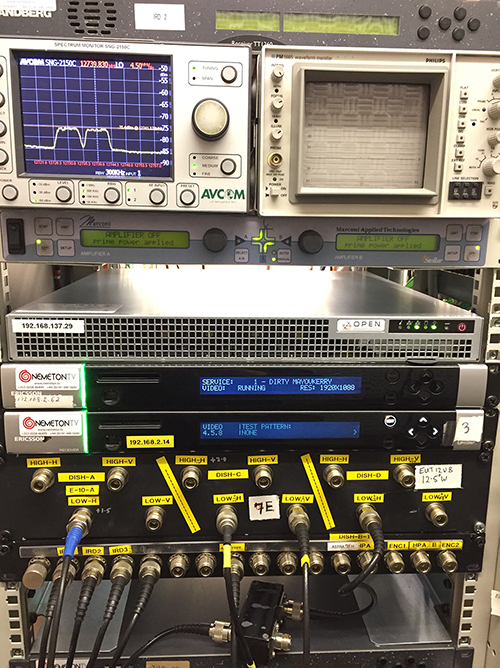 Open Broadcast Systems has delivered a bespoke decoder to handle four simultaneous satellite feeds for Nemeton TV. Irish production company, Nemeton TV, is using the decoder to decrypt and decode satellite feeds from Gaelic Athletic Association (GAA) sporting matches held across the country. National League changes means that as many as three matches could be played simultaneously in different locations, meaning the production company required a way to handle an extra four feeds simultaneously. Open Broadcast Systems also added DVB-S2 demodulation and Basic Interoperable Scrambling System (BISS) Descrambling to the C200 decoder for this implementation, making the process of receiving and decrypting satellite feeds and transmitting IP feeds all the more efficient. Nemeton’s coverage of these games includes the GAA Allianz National Hurling and Football Leagues, the GAA AIB National Hurling and Football Club Championships, and the GAA All-Ireland Hurling and Football Championships.